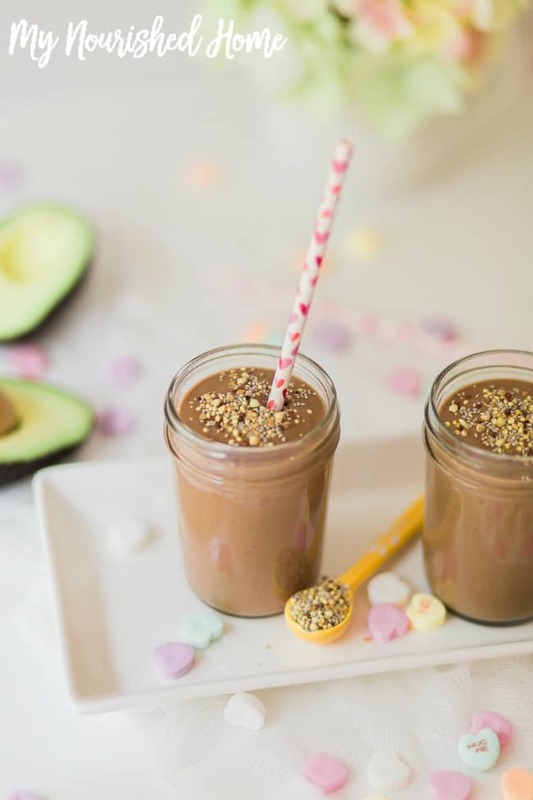 If you have kids that despise eating anything green, this chocolate avocado smoothie is something that you must put in your recipe rotation! There are a large chunk of parents out there who are constantly battling their children to eat more greens. As soon as you realize that your kid is not a green food eater it is easier to begin to sneak greens into their diets than it is to keep on battling with them about it! Avocados are incredibly healthy for both you and your children, but if you want more than the standard toast or salad, you need to get a little creative to find ways to incorporate them into your diet (besides guacamole, of course!). The interesting thing about this smoothie recipe is that you cannot taste the avocados, which means my kids have no idea they are eating something good for them. 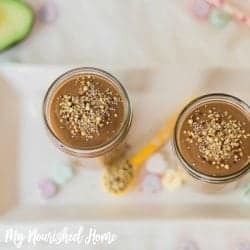 So whether you are sneaking avocados into your own diet or sneaking them into your kiddos diets this chocolate avocado smoothie recipe is the way to go. The only way the avocados alter the recipe is by giving them a smoother, fluffier texture that tastes amazing! 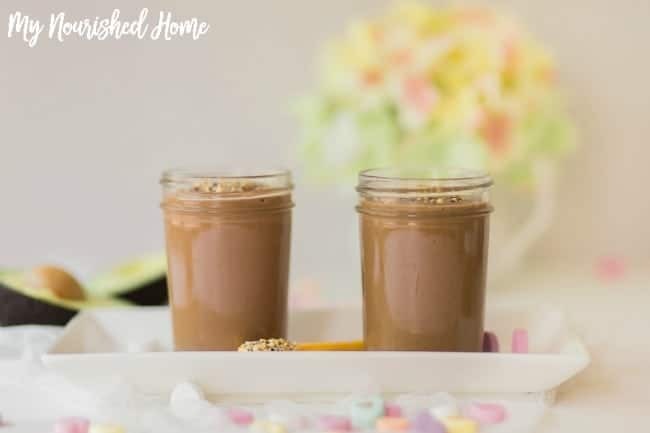 You can use this chocolate smoothie recipe as a quick to go breakfast and can even prep it the night before so that it is ready to grab out of the fridge in the morning! Another alternative is using it as a snack after a workout to regain some energy. If you drink protein powder or meal replacement shakes you can replace the cocoa powder with your own chocolate flavored protein powder. 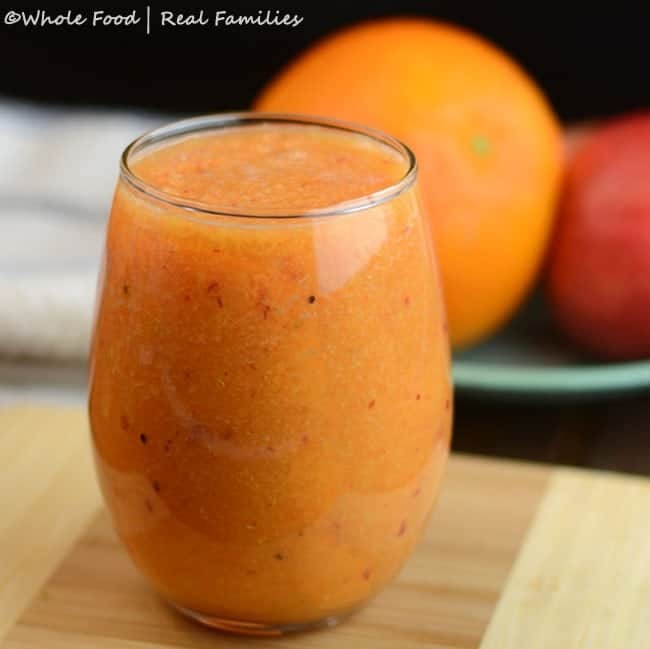 Parents can turn this into a healthy after school or after dinner treat for the kids. It is easy to get them to drink because of the chocolate. I have also found if the smoothie is a little thick for my smaller kids, I can just add a little water to thin it a bit. As for the Trader Joe’s Super Seed & Ancient Grain blend, we like the texture and usually top off our smoothies with it. Sliced almonds or berries work great too. We love this Blueberry Banana Smoothie! And this Immune Boosting Smoothie. Mix the first 5 ingredients in a blender, until smooth. Pour into 2 small cups. Sprinkle some of the seed and grain blend on top.